Richmond Camera & Security Systems repair, install and service all security systems in Richmond County NY. 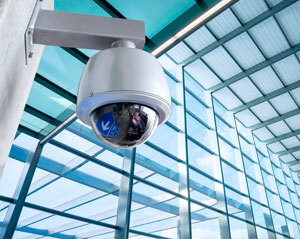 Repair and installation services for security cameras in Richmond County New York. Repair and installation services for Intercom in Richmond County NY. 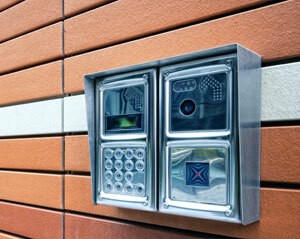 Commercial security systems Richmond County NY. A properly installed Security System – As all systems installed by Richmond Camera & Security Systems in Staten Island are - will help protect your assets from theft, vandalism and save you money on your insurance policies. Security Systems act as a deterrent to potential thieves, and make sure the proper authorities are notified to help minimize any loss due to burglary. Every security system installed by Richmond Camera & Security Systems has the capability to detect unauthorized motion, glass breakage and the opening of all points of entry. Each security system also supports several methods of panic or duress notification. 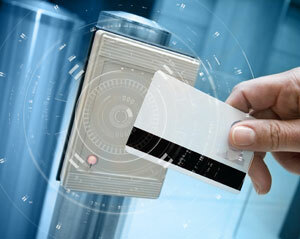 It is our goal to make sure you have the tools and information needed to decide on the best security solution for you. A lot of companies in Staten Island meet annoying problems with theft. Whether you own a grocery store, clothing store, a restaurant, hotel or a coffee shop. If you have anything of value on your property, you are at risk of having it stolen. By installing surveillance cameras not only can you decrease theft from outside, but you can control internal theft (As well as many other things). The price of surveillance cameras will always provide more benefits than the costs incurred by theft. Commercial security cameras enable you to see if a suspicious event is in progress enabling you to alert the authorities before the problem escalates. Having a video surveillance system installed will allow you to help authorities identify suspects in case a theft or vandalism should occur; it can also help to identify false insurance claims made against your business. Richmond Camera & Security Systems Install repair and service all types of security ca,eras in Staten Island. Our goal is to help you in improve the safety within your facility. The experts of Richmond Camera & Security Systems are ready for your call 24/7. It can be an emergency call, or estimate for a new security system, we are for you. You can email us, call us, or complete the contact from at the bottom and one of our experts will be in touch with you. A properly installed Security System – As all the systems installed by Richmond Camera & Security Systems in Staten Island are - will help protect your assets from theft, vandalism and save you money on your insurance policies. Security Systems act as a deterrent to potential thieves, and make sure the proper authorities are notified to help minimize any loss due to burglary. Every security system installed by Richmond Camera & Security Systems has the capability to detect unauthorized motion, glass breakage and the opening of all points of entry. Each security system also supports several methods of panic or duress notification. It is our goal to make sure you have the tools and information needed to decide on the best security solution for you. We also offer security for different needs. Call us today at (718) 557-9968 and talk to one of our experts. Many business owners in Staten Island don’t have the ability to be present at their place of at all times. Between businesses meetings, having more than one location, large office spaces and personal responsibilities it’s impossible to be everywhere at the same time. With the right video surveillance system, owners of businesses in Staten Island can monitor multiple locations at once – even remotely from your cell phone when the right equipment installed. Richmond Camera & Security Systems can help you protect your business in Richmond County New York 24/7. Contact Richmond Camera & Security Systems today for a free onsite security evaluation. Call Richmond Camera & Security Systems at (718) 557-9968 and get the best consultation from the experts of Richmond Camera & Security Systems. Talk to one of Richmond Camera & Security Systems experts today! !